Lisa Leitch is a Sales Strategist, Trainer and Performance Coach with a proven sales and leadership track record. Lisa held a distinguished career in sales for over 20 years, and was a top million dollar achiever for over 8 years in a row. She successfully sold to clients such as IBM, Daimler Chrysler, Hershey, Hiram Walker, Cadbury Beverages and YTV. As a salesperson, Lisa devised and implemented a sales approach that led her clients to consider her a valuable, long-term partner in their growth. Lisa then became the Vice President of Sales leading a sales team, where she discovered her passion to help salespeople reach their full potential and continued to hone her sales coaching skills to drive sales teams to greater success. Lisa loves to help successful salespeople take their sales game to the next level of success to meet the needs of today’s demanding buyers. She has trained hundreds of salespeople on the consultative selling process to sell more kitchens, power tools, and a variety of other products and services. 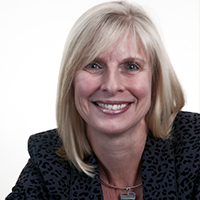 Lisa Leitch is an associate sales performance coach with Base Over Apex.